Not your typical Justice League story, and that's actually great. DC's trinity in Superman, Batman and Wonder Woman gets twisted up in this Elseworld type story. Superman's father being General Zod instead of Jor-El, Batman replaced instead with Man-Bat who's a crime fighting vampire and Wonder Woman is replaced with Bekka, not an Amazonian but a New Genesis's warrior princess. The story of the DC's big three has been told again and again so it is nice to get this different interpretation full of action and twists to keep you on your feet. While some parts in the beginning reminds me a bit of the new 52 with the "aliens" being feared more than loved as with the old DC universe, this film has a clearly darker overtone than that. I was a bit confused first with Batman being called Kirk and Wonder Woman, Bekka. It's not until later that I realize who they actually are in the known DC universe that the brilliance of the story telling takes a hold. And it is because of this new tale with new twists that I actually love the characters and the story unfolding with mysteries and a whodunit thrown in. 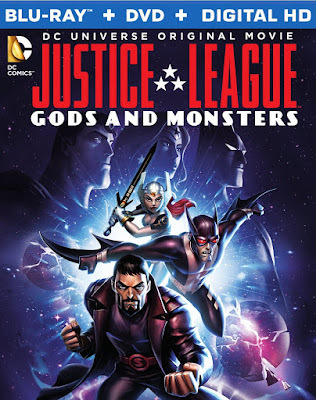 As with Justice League War and Son of Batman, Gods and Monsters continues DC's dark themes in their animation roster. Mass murders in Gods and Monster that include ripping people apart and stabbing swords through their hearts makes this not so family friendly. The only other gripe I have with this and understandably this is not our Lex Luthor is that, that is not our Lex Luthor! 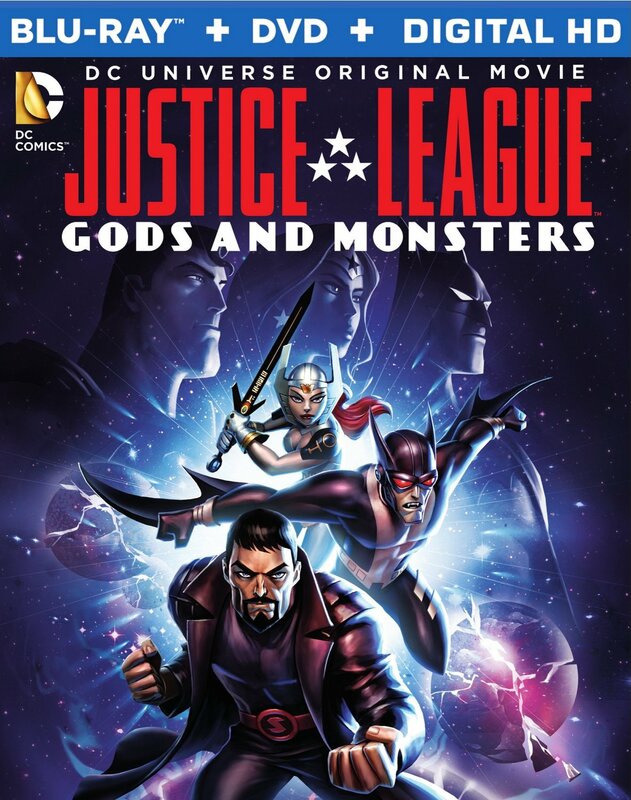 Of all the familiar characters that is completely off base as far as what we would expect, it would probably be Gods and Monsters's Lex and in this case it's not necessarily a good thing. 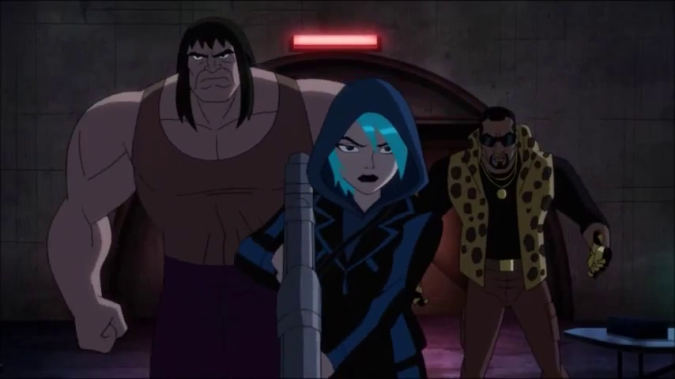 Overall, I would highly recommend watching it especially if you are a DC Animations fan. The film is well acted with good animation that you would come to expect from DC Animations. Keep this away from young kids with the gruesome violence. DC's die-hard fans will love to see some of their favorite characters in different suits, and would have loved to see more heroes and villains. 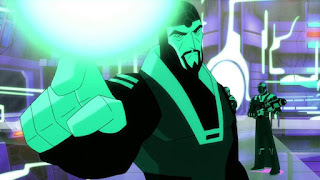 While the villain was an interesting twist I would have loved to see more grand scale fights from this universe's big three.